The bulls have regained poised in the Asian session on the final trading day of the week, allowing GBP/JPY to build onto yesterday’s gains, in a bid to regain 141.50 barrier. 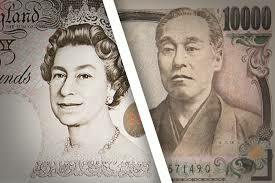 The GBP/JPY pair now rises +0.10% to flirt with daily tops of 141.37, mainly driven by broad based GBP, as the pound benefits from a positive outcome at the Brussels Summit, where the UK PM Theresa May outlined her offer on the EU citizens’ rights post-Brexit. Moreover, stabilizing oil prices combined with higher Treasury yields underpin the risk sentiment, keeping the Yen on the back, which in turn lends support to the upside in the cross. Later today, the spot will continue to take cues from the broader market sentiment and Brexit developments amid a lack of economic data from the UK docket. Meanwhile, the US manufacturing PMI and new home sales data will be also closely eyed.